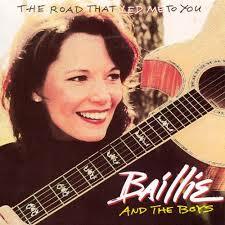 Baillie & The Boys are an American country band formed in Newark, DE in 1973. Kathie Baillie (lead vocals, guitar) and Michael Bonagura (backing vocals, guitars) after meeting on a blind date at the University of Delaware formed an acoustic pop/folk duo performing at local taverns and coffee shops throughout the Wilmington, Delaware area. With the addition of longtime friend Alan LeBouef (backing vocals, bass) the duo turned trio developed its’ unique vocal blend; similar to groups like Crosby Stills & Nash; America and other West Coast vocal country influenced rock bands of that time. With Kathie’s powerful heartfelt lead vocal embraced by the creative harmonies that distinguished this group from others; it was eminent national success would find Baillie & The Boys way into the history of American country music. First gaining industry awareness through national commercials for; Burger King, Gallo Wine, Soft And Dry (and others) the trio was signed by industry giant Doug Morris to the Atlantic Records division Big Tree Records; releasing the group’s first Billboard charted single; “Please Don’t Tell Me Goodnight” in 1976 under the name Bittersweet. Disassociated and feeling out of place in the New York music scene of the late 70’s the trio moved to the island of Bermuda for a two year residency at The Robin Hood Pub. It is there that the group after performing over 2000 shows in a two year period developed its unmistakable present day country / pop sound. Relocating to Nashville, TN in 1983; determined to achieve relevance in the Nashville country music scene; the groups 3 part vocal harmonies soon found their place and were used by many of the biggest names in country music including; Vince Gill, Randy Travis, Lynn Anderson, Marie Osmond, Dan Seals, Mo Bandy and many others. Unprecedented, at one time you could have heard the backing vocals of Baillie & The Boys on 5 of BillBoards Top 10 Ten Country Singles all in the same week, something no other group has yet to equal! After singing background vocals on dozens of hit country records as well as writing hit songs for some of Nashville’s biggest stars one night; while performing at one of Music Rows infamous night spots; The Hall Of Fame, the trio was discovered by Jeff Cook: (founding member of the group Alabama) who brought them to the attention of Joe Gallante (president of RCA Records) who immediately; after hearing the trio perform “a live 30 minute audition” in his office; signed the act to a recording contract. The first single; “Oh Heart”, produced by Kyle Lenning and Paul Davis was a Billboard Top Ten Hit (Awarded one of the years most performed radio singles by ASCAP)and was followed by 10 consecutive Billboard country hits such as; She Deserves You, I Can’t Turn The Tide, Wilder Days, (I Wish I Had A) Heart Of Stone. In 1990 the group released what was to become one of their biggest hits which hit #2 on the country airplay charts; the remake of Hank Snow's classic, "A Fool Such As I" followed by "Treat Me Like A Stranger" and "Perfect" completing a perfect string of 10 consecutive Top Ten Hits while on the RCA label. In 1995 Kathie Baillie co-hosted one of TNN's top rated variety shows; Yesteryear as well as hosting several award shows and television specials. Numerous award nominations for Vocal Group Of The Year by the Country Music Association, Academy Of Country Music, and The Music City Awards along with years of constant touring led to the departure of Alan Leboeuf who was replaced by Lance Hoppen (bass and backing vocals) best known as a founding member of the pop group, Orleans, (Still The One, Dance With Me). With addition of Vince Baranco (drums, backing vocals) and Howard Duck (keyboards) the group continually toured throughout the United States. Lance Hoppen left the group in 1999 to reunite with Orleans and was replaced by Roger McVay (bass, backing vocals) in 1999. McVay’s departure in 2002 brought in Johnny Pierce (bass, backing vocals) until his death in 2004. Some other key notable musicians throughout the years have been; Larry Knectel (keyboards), Paul Garisto (drums) Wesley Pryor (drums), Jodi Nardone (keyboards). The group’s discography scans a 25 year career: Baillie And The Boys (RCA, 1987); Turn The Tide (RCA, 1988); The Lights Of Home (RCA, 1989); The Best Of (RCA, 1990); Read Between The Lines (RCA,1992); The Road That Led Me To You, (Synergy, 1995); Loving Every Minute (Intersound, 1998); Baillie Family Christmas (Synergy, 2004); Angel In Chains (Synergy Soundtrack 2004); Love’s Funny That Way (Intersound, 2006); I Will Run (Big Bang Entertainment, scheduled 2018). Finally, the long wait for brand new Baillie & The Boys music is over! 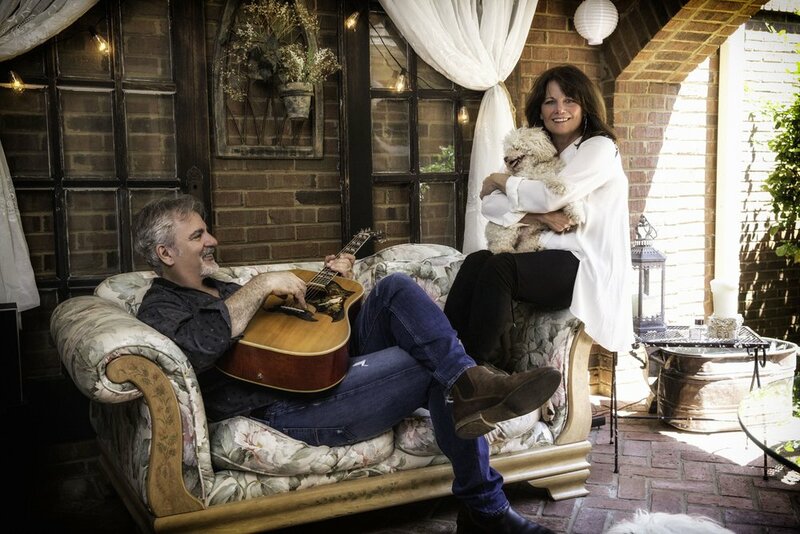 The newest CD, “I Will Run” features 10 new songs that will take you back to the familiar sound that has made this group an essential part of country music featuring Kathie’s moving vocals embraced by West Coast inspired Americana/Folk/Rock harmonies. Lyrics that will touch your heart and stories about our lives. You can find Baillie & The Boys out on the road again touring; performing throughout the US in support their newest CD while celebrating the bands 45th year anniversary of making music together! RT @kentenn: Happiness is #bluebirdonthemountain listening to @alyssabonagura with @KathieBaillie and @MikeBonaGura singing harmony in my right ear. RT @ThinkYouKnowMus: Happy Birthday Feb. 20, 2016 to: Kathie Baillie @KathieBaillie (Baillie & the Boys) & Coy Bowles @coydroy (Zac Brown Band) @zacbrownband.